2018 was one of the best years for documentary films ever. Four documentaries in 2018 are among the top 30 highest-grossing documentaries of all time. They are also some of the best-reviewed movies of the year, all with Rotten Tomatoes critic scores above 90%. 2018 has been a significant year for movies, and is heading toward a box-office record in the US. A lot of films have contributed to that: the Marvel hits “Black Panther” and “Avengers: Infinity War,” the horror sensation “A Quiet Place,” and the Oscar hopeful “A Star Is Born,” to name a few. But one film genre that often goes overlooked has had one of its best years ever, both in terms of box office and critical acclaim: documentaries. Four movies from 2018 have landed in the top 30 highest-grossing documentaries of all time before inflation (and the top 35 when adjusted for inflation), according to Box Office Mojo. That’s even more impressive when you consider that list also includes concert films. The Fred Rogers doc “Won’t You Be My Neighbour?” from the Oscar-winning director of “20 Feet From Stardom,” Morgan Neville. “RBG,” about Supreme Court Justice Ruth Bader Ginsburg. “Three Identical Strangers,” about triplets separated at birth that reunite years later. 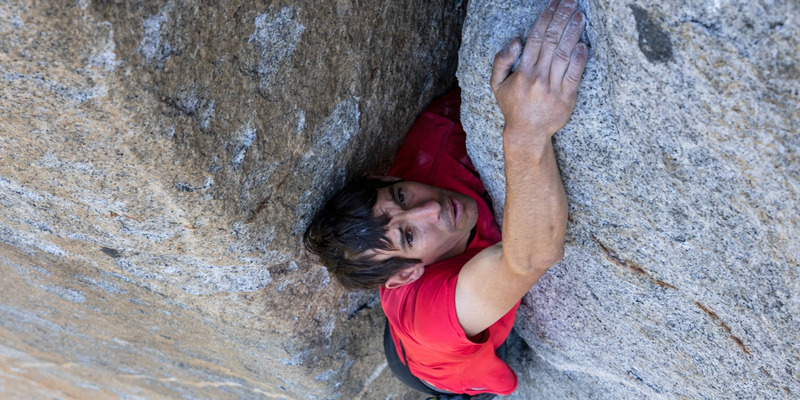 “Free Solo,” which follows Alex Honnold on a harrowing 3,000-foot climb without a rope. These movies didn’t rake in the hundreds of millions of dollars that superhero blockbusters do, but they have left a memorable impression on audiences and critics. They are some of the best-reviewed movies of the year with Rotten Tomatoes critic scores all above 90%. As award season begins, these documentaries will be brought back into the spotlight. A documentary has never been nominated for best picture at the Oscars, but with so many acclaimed and crowd-pleasing ones to choose from, this would be the year to do it.